Medium (1-1/2" - 2") - 1pc. Large (2" - 2-1/2") - 1pc. Small (7/8" - 1-1/2") - 1pc. 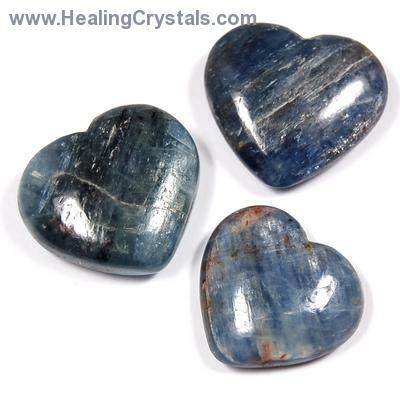 Blue Kyanite Hearts - These cut and polished Blue Kyanite Hearts are made in India and some may also be Blue/Green Kyanite. Use a Blue Kyanite Heart in the middle of a grid to pull in loving, higher vibrations into your gridding space. Blue Kyanite Hearts would make a great pocket, purse or pouch piece. Blue Kyanite is especially good for working with the Throat Chakra and communication issues. Blue Kyanite helps to speak one’s truth with clarity, making it a great stone for public speakers and performers. Blue Kyanite also facilitates an alignment of all the subtle bodies, creating a larger and stronger aura. An excellent Third-Eye Chakra stone, Blue Kyanite can pull very high vibrations in through this chakra to be processed as messages from other realms. 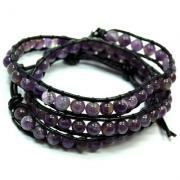 It can also transfer a high vibration, allowing for an opening of psychic abilities, especially during meditation. Blue Kyanite can also be used to promote lucid dreaming and astral travel. Physically, Blue Kyanite is useful for healing throat and voice ailments. It can help with mobility and speech difficulties, especially after a stroke. Use Blue Kyanite to keep bone marrow, cells, and tissue healthy. 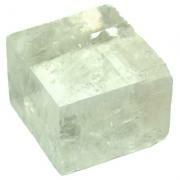 A good crystal to enhance brain function and the entire neurological system. In general, Kyanite aligns all of the chakras, and can be used to open them as well. Kyanite also aligns all layers of the aura. This makes Kyanite an excellent choice for any type of balance or energy work. Kyanite transmits and amplifies high-frequency energies, making it a great stone for attunements and meditation. Kyanite brings a calming, tranquilizing energy to the body. Kyanite clears and calms you in preparation for meditation, and assists in receiving intuitive and psychic thoughts, as well as dream recall. Kyanite restores Qi (or Ki) to the physical body, and balances yin/yang energies. Please Note: Although Kyanite may not need clearing/cleansing as often as most crystals, we suggest clearing your Kyanite as often as is needed, based on (1) the amount of use it gets (how hard is your crystal working for you?) 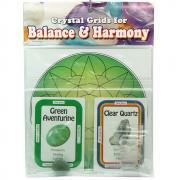 and (2) the amount of energy that your crystal has been exposed to over a period of time. When clearing your crystals, always make sure that your intent is clearly stated, so the crystal knows that it is being given some time off and needs to recharge itself. 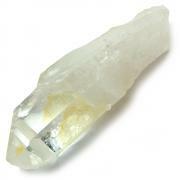 See this informative article on how to clear/clean any of your crystals: http://www.healingcrystals.com/How_to_Clean_Crystals_Articles_11358.html. Affirmation: I easily receive all forms of communication that are for my highest good. 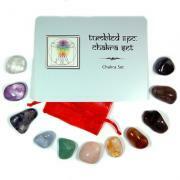 Question: Do you practice chakra balancing to stay healthy? Affirmation: I easily receive all forms of communication that are for the highest good. 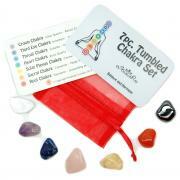 Question: Do you have one crystal that you feel balances your entire chakra system?